Has anyone tried this yet? Looks like the non-commercial version is free to download(?). Anyone successfully connected mavic air remote? Simulator opening fine but no controls. I did, but can&apos;t get it to run. Updated to a new version this morning but still the same issue. Black Screen and DjiArenaGame not responding in Task Manager. Not for MacOS?? DJI products are sold in any Apple Store, but they don&apos;t care about Apple costumers? Hello Dancopter. 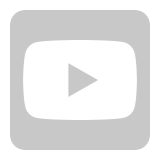 Thank you for sharing this DJI Simulator video with us and thank you for supporting DJI. Wow! Really, really nice, and much needed too. ATTI mode training is very much welcome. And it&apos;s definitely a good thing to have for the winter no-flight months so as to keep the skills sharp. PS A question to the FAQ: Flight Simulator supports the DJI remote controllers for the Phantom 4, Phantom 4 Advanced, Phantom 4 Pro, Phantom 4 Pro V2.0, Lightbridge 2, M600 Pro and Mavic Air. Support for the Mavic 2 series remote controllers is coming soon. I don&apos;t see Mavic Pro in the list. Is it supported? Well, this may be a bummer: A computer with a Windows 10 system is required to run the program. I am using Windows 7 (as quite a lot of other people do), and Win 8 and 10 are permanently banned from my home network. Anyway, attempting to install in Win7 now. The screen is a 4K UHD Acer XB321HK. G-Sync was initially enabled for both full screen and windowed modes. 1. Installation. Ran the installer, but after it opened, the whole desktop became laggy with occasional freezes. still managed to sign in and run the installer (typing email and password at 1 character per minute). Downloaded 2.4GB of data. Launched dji_usb_5512_64_108.exe manually and installed the drivers. Connecting the Mavic Pro controller through mini USB port gave an error of unrecognised hardware. 2. Launch. The sim started, but the screen went black. After a minute or two some blocky, bud discernible image of the main menu appeared (see screenshot). Had to reboot the machine to get back the control. 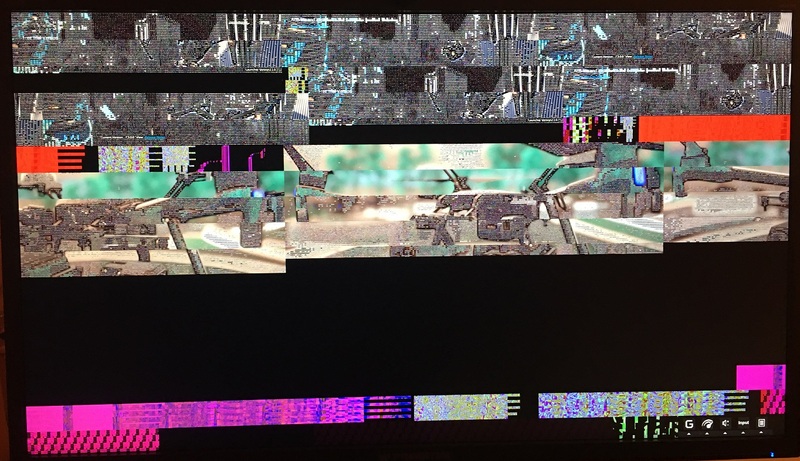 I got the creeping suspicion that the sinm does not want to work with G-Sync, so I disabled it. 3. Started the launcher - no lagging, so it was G-Sync and DJI not playing along. At this moment it again started donloading 2.4GB of data (possibly because of the hard reset before). After it finished downloading, I closed the launcher and reopened it again to make sure the progress is preserved. 4. Pressed start from the launcher and got into the main menu. I am as yet to figure out how to get my Mavic Pro controller working... There are optiones to use keyboard for the control. And mouse is entirely disabled. The problem with G-Sync is strange, as I have not experienced it with other games/programs. And the final update: It (sort of) works! And with G-Sync enabled, but only for full screen mode. I&apos;ve got a limited functionality out of Mavic Pro controller: both left and right sticks, as well as the gimbal dial work fine. The other buttons and the right wheel perform no actions. It looks like the sim uses Lightbridge controller. The resolution is limited to 1080p, which is a pity when one has a 4K display. Lord. I have an i7-4770 and this thing lags like no one&apos;s business. So much so it&apos;s useless to me.Plus I&apos;ve connected the controller with a MicroUSB to computer and it doesn&apos;t recognize controller. Don&apos;t think this is ready for primetime. Well, my CPU is older at i7-3930K, though it&apos;s overclocked. I think the problem is in the graphics routines. Firestrike benchmark on my system lies at about 100fps (though capped to 60fps by the monitor) in the native 3840x2160 resolution. DJI Simulator runs at 35-50 fps in the city environment in 1080p. As for the RC control, did you run dji_usb_5512_64_108.exe, which can be found in the installer directory. Also note that you must connect and turn on the RC before starting the sim. Windows complained about the unrecognised device, but I could still use the sticks and the gimbal wheel in the sim. 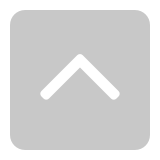 You can also use the left stick up/down to navigate the menus. Though I agree, this is still an early beta. Well, my CPU is older at i7-3930K, though it&apos;s overclocked. I think the problem is in the graphics routines. Firestrike benchmark on my system lies at about 100fps (though capped to 60fps by the monitor). DJI Simulator runs at 35-50 fps in the city environment. Yes, running the USB drivers didn&apos;t seem to make a difference. I still cannot connect to my controller. Frustrating since this looks like something I&apos;d really like to try to use to improve flight skills. 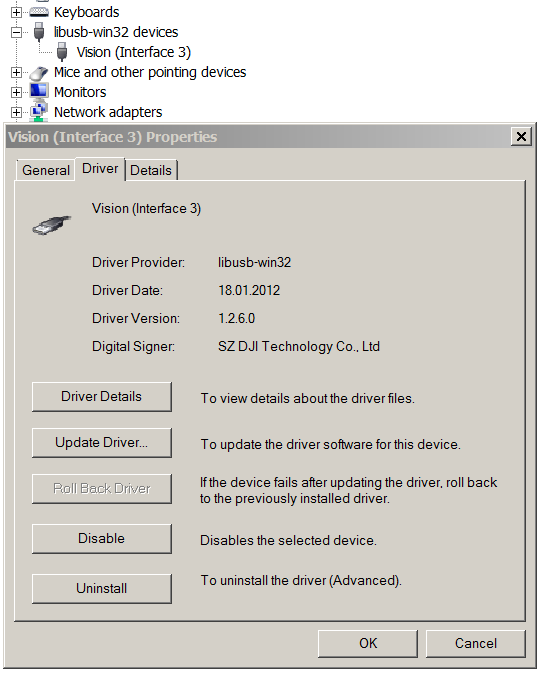 Check if you see "Vision (Interface3)" under "libusb-win32 devices" in the Device Manager. Today when I started the sim, my controller was not picked up at first as I powered it up after the launcher was started. 5. Click on Start to launch the sim. My biggest peeves as of now: the resolution is limited to 1080p and there seems to be no way to view photos and videos taken in sim-flight. The sim mentions a Gallery, but I cannot find it. I was about to download it but also noticed that it did not say it supported the Mavic Pro. I wonder if anyone has tried it yet with a MP controller? I did, and it works (partially - sticks and gimbal wheel, but no buttons). Check my posts above. Hey, just so you know, the P3S controller works for the simulator. I just installed driver and assistant 2 (may not have affected it). You of course need to use the keyboard for some actions. Not sure about other P3 controllers. Also, if the launcher does not install it corrrectly, run it as admin. Also I had a weird issue of my mouse disappearing after running the simulator...? There appears to be a problem with the device driver for the Mavic Air&apos;s RC. I put together a video that describes the problem and shows how it can be resolved. Hope it helps! EDIT: See post #29 for a better, easier way than described in this video. hello i been trying to connect my Mavic 2 PRO Controller but i does not connect...... i attempted everything but still no work, i am wondering if the mavic 2 pro controller is even cabatable does anyone know??????? thanks. Good job, think your on to something here, will try when I have some time. No, it is not compatible at this time. DJI has stated they are working on it and will be available soon. I’ve made an updated video showing the much easier way of getting the Mavic Air controller to work compared to the way described in my first video. Using this method also gets it to work with Assistant 2 as well. Credit to BumblerBee for pointing to this method. Has anybody got the P4P + Controller to work with the Flight Simulator yet? Ok, this is pretty fun. It&apos;s a great way to practice. Runs smooth as silk on my Ryzen 7 1800x with 1080Ti. The FAQ page needs to explain the installation of the drivers though. I&apos;m glad I found this forum post and got the info from here. Hi, I too have the Mavic Pro (as well as an older P3P) and consider this FS a vast improvement on the simpler version in the App - if only I could get it to work!! Maybe DJI will sort out these teething problems in due course (clearly there are many variants including platforms) but we are all impatient. I am encourages by your (Bumblerbee) findings and further by KlooGee&apos;s input but still I haven&apos;t succeeded in getting beyond installation. When I run the FS I get a screen which offers only &apos;INSTALL&apos; even though it&apos;s already installed) and I suspect one problem is indeed that the driver for the RC is not recognised because it&apos;s not &apos;Signed.&apos; I tried both KlooGee&apos;s video methods without success. The longer version asked me for a special ID which I don&apos;t have and don&apos;t know how to get so abandoned the procedure while the second approach simply didn&apos;t work at all in my case. I still have a little yellow warning triangle with an exclamation mark inside in the Device Manager screen under &apos;Other Devices.&apos; Running the DJI FS driver .exe program seems to work and states the driver(s) installed properly but Windows 10 disagrees presumably because of the driver not being signed! If anyone can help e.g. advising what this special ID I need before Win 10 will allow me to install an unsigned driver, that might get me to the next step. I would really like to get the use of this most interesting FS without having to wait months for DJI to sort out the problems if they ever do! Any suggestions? But thank you anyway for this initial encouragement from a very elderly novice! The sim can bearly run on my Radeon RX Series video card. I would have to upgrade to a $450 video card to run this sim. Following my earlier reply, I&apos;ve tried using KlooGee&apos;s methods to install the FS driver without success again. The ID needed was a BitLocker number which apparently is stored on my OneDrive and I managed to recover and enter it allowing me to proceed to the point where I was allowed to install an unsigned driver but it still wouldn&apos;t install. When I tried double clicking on the name in Device manager to "Update Driver" I got another error message stating "DPInst.exe does not execute on your current OS!" Now I have just invested in a top of the range Dell XPS 15 9570 i9 with all the power that should be needed with the latest version of Win 10 so what&apos;s wrong now I have to ask. and BTW when I connected the Mavic Pro RC with the little jingle it only tried twice to load the driver and I had to try many times to highlight the transient appearance before it disappeared in order to get the Driver Update dialog box which then didn&apos;t work! The name which appeared was "Unknown Device" although earlier I saw a different name which I now can&apos;t remember. DJI Assistant 2 recognised the RC controller and earlier I did go through a sequence in which when I reached the Driver Update box, pointed to the DJI directory where the dji_usb_5512_64_108.exe file is located, win 10 said I had the latest driver installed! What can I make of all this mess? DJI really ought to provide a signed driver which works. check the entertainment, its fun race with your drone.